Professors Michael and Neathery Fuller visited Tulum in 1990. These digital images are scans from some of our slides. 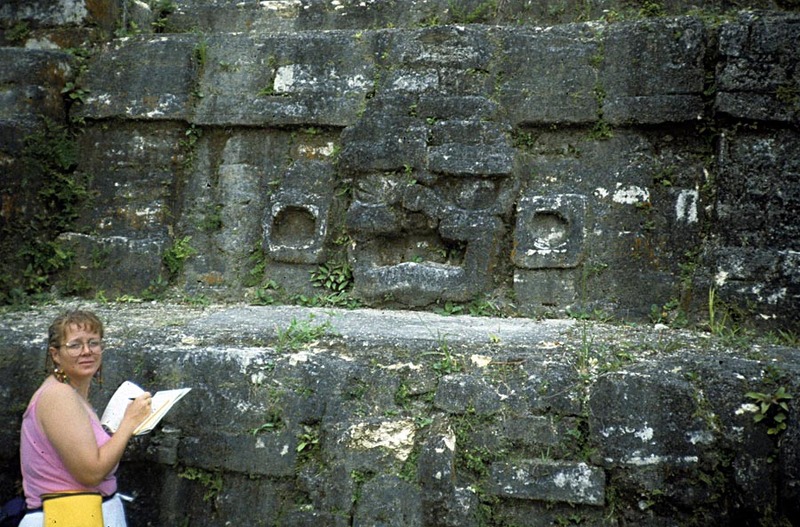 Professor Neathery Fuller makes notes on a large mask on the exterior of the Altun Ha temple B-4. 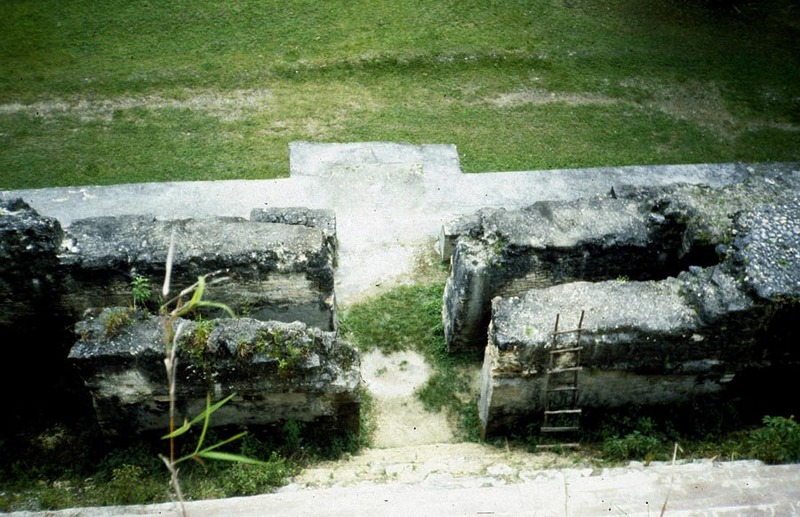 View from the top of Temple B-4. 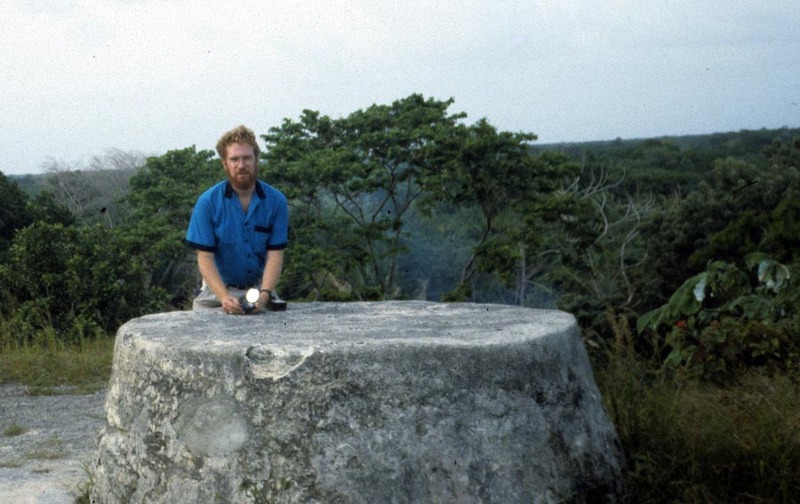 Professor Michael Fuller taking a compass bearing from a circular altar at Temple B-4. 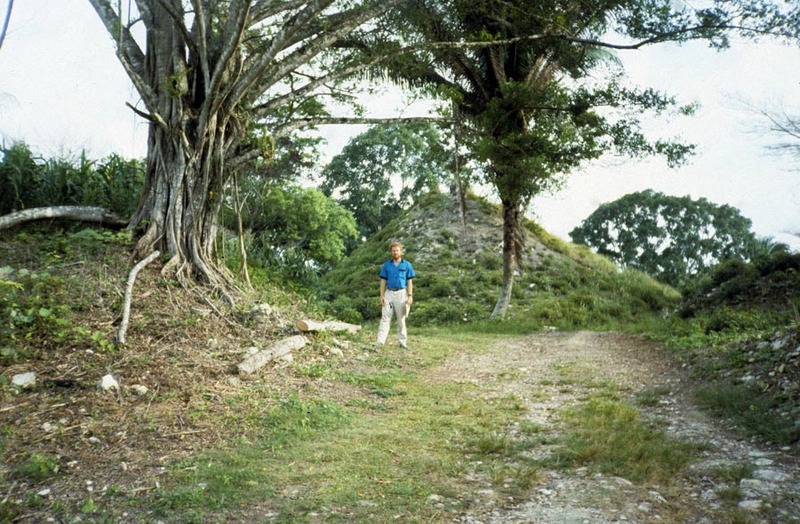 Professor Michael Fuller examining several unexcavated structures at Altun Ha. 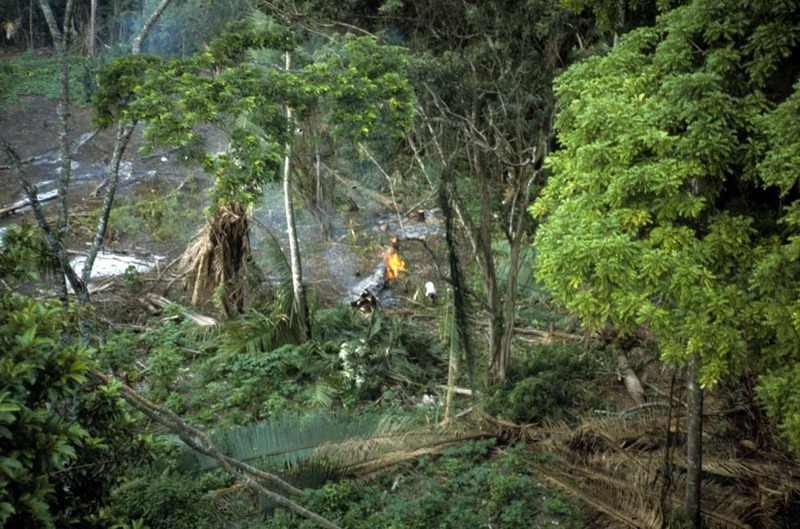 Burning piles of vegetation around the margins of the site to keep the forest from retaking the site of Altun Ha.